Hit Music Radio plays a compelling, entertaining mix of adult contemporary songs that is relevant to the 21 – 44 year old age group, you will find yourself unable to turn off not knowing what hit we’re going to play next! Along with our more music variety comes great chat, local and international news, and valued interaction with the local communities. Our team of specialists are on hand to create tailor made advertising solutions and deliver a cost effective bridge between our advertisers and their customers. We understand that every client is different, with different needs and business objectives. Our first meeting with you is probably one of the most important we will have establishing exactly what it is you have to communicate and who you want to communicate it to. From generating sales leads to launching new products, driving online traffic to raising awareness whatever it is we will ensure we clearly understand your business requirements before creating advertising solutions that we believe will help you generate a return on your investment. From commercial airtime campaigns planned to maximise the reach of your potential customers, creative treatment of your key messages to brand building through sponsorship, exciting listener promotions and online activity our team will deliver advice and ideas to best suit your needs and budget. 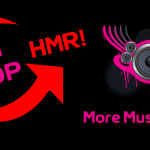 If you would like to hear more about how Hit Music Radio can help your business grow then message our sales team on by clicking here and we come straight back to you. In the required fields, make sure you fill in your first name and last name, contact email, contact telephone number and put your company name and a brief message in the message box and one of our team will contact you.